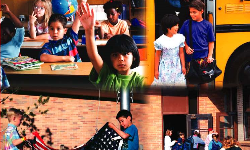 The Oklahoma School Performance Review (OSPR) Program was authorized by the Oklahoma Legislature during the 2001 session and amended during the 2005 session. The purpose of the performance reviews is to develop findings, commendations, and recommendations for individual school districts regarding: (1) containing costs; (2) improving management strategies; and (3) promoting better education for Oklahoma children. 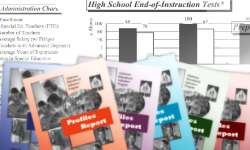 Click to find out how your school can be qualified for a 100% free school performance review. Pursuant to SB1797, effective July 1, 2014 Oklahoma Commission for Teacher Preparation (OCTP) has consolidated with the Office of Educational Quality and Accountability (OEQA). The OCTP serves as Oklahoma's independent standards board for teacher education. The enabling legislature of the Commission (HB1549 passed in 1995) charged OCTP with creating a competency-based teacher preparation system that would ensure competent and qualified teachers in every classroom. In order to carry out its legislative charge, the agency assumes three primary responsibilities: the accreditation of teacher preparation programs, the assessment of teacher candidates, and the ongoing growth and development of classroom teachers across the state. Realizing that the greatest determinant of student success is the quality of the classroom teacher, the focus of the Commission is to prepare and support effective teachers from their point of entry into teacher preparation programs and throughout their careers.